In implementing the Every Student Succeeds Act, the nation’s new education law, the odds were high that the U.S. Department of Education would issue a regulation meant to protect the rights of poor children (for instance), that congressional Republicans would interpret as the department’s effort to chew through the short leash that restrains it under ESSA. “Already we’re seeing disturbing evidence that the Department of Education is ignoring the law,” Sen. Lamar Alexander said at an education committee hearing last week. The educational era of good feelings that started with ESSA’s passage may be over, shattered by a department proposal for how districts would show they are funding low-income and non-low-income schools equally — a proposal that reignited debate over whether teacher salaries should be included in those calculations. “I’m not interested today in debating whether it’s a good idea or a bad idea…The plain fact is the law says the department on its own cannot do it,” Alexander said at the start of an animated hearing. The department released updated language late last week that responds to some of the criticism of the rule proposal. But what’s the dispute actually about? Let’s take a deeper look at the sausage-making that goes into education policy. It turns out to be pretty important. It’s among the largest streams of federal spending on K-12 education. The program was created in 1965 as part of President Lyndon Johnson’s poverty-fighting Great Society program. The federal government this year sent about $15 billion to states to assist in the education of low-income children. Schools where 40 percent or more of the student body is disadvantaged can use the money for “school-wide” programs that benefit the entire student body as opposed to individual children. 2. What is “negotiated rulemaking”? In most cases, when the education department – or other branches of the federal government – wants to write a regulation on how to implement laws passed by Congress, they’ll issue a notice of proposed rulemaking. The rule is written by the agency and published for public comment. After a set period for comment, the department will issue a final regulation, sometimes incorporating public comment. Congress can override major agency regulations within 60 days, though doing so requires the president to sign the bill overturning the regulation. Groups or individuals that would be adversely affected by the regulation also can sue to stop implementation. “Negotiated rulemaking” is different. An agency will issue a call for nominees from constituencies affected by the regulation to meet and hash out the specifics. If that group can reach “consensus” on a regulation, the agency will put their proposal in legal language and use that for the notice of proposed rulemaking. There’s a catch, though. An agency representative sits on any committee discussing a proposal from that agency, and “consensus,” according to an education department notice, “generally means there is no dissent by a member of the negotiating committee.” So, in effect, the education department has veto power over whatever the committee writes. If the committee can’t achieve consensus, the department writes its own regulations, which have to go to relevant congressional committees for their comments before going for public comment through the traditional rulemaking process. The negotiated rulemaking committee working on ESSA has met for two sessions, each lasting two days, to work on regulations regarding a variety of issues on assessments, plus what’s known as “supplement not supplant.” They’re set to meet again April 18-19. The current committee has 24 members, some non-voting, representing state education secretaries, superintendents, tribal leaders, parents, principals, teachers, other school leaders, paraprofessionals, civil rights groups, and the business community. 3. What is supplement not supplant? At its most basic, the supplement not supplant regulation requires states and districts receiving Title I dollars to prove that they’re using the federal money in addition to, rather than instead of, state and local dollars meant for the same purpose. The regulation stemmed from a landmark 1969 report by the NAACP that found widespread misuse of Title I funds. Investigators with the civil rights group found that Title I money wasn’t reaching eligible kids, that it was being used to fund programs previously paid for by state and local funds, and that it was going to inappropriate projects. Before ESSA, states proved that they were in compliance by demonstrating that what they purchased with Title I funds were things above and beyond what students would normally receive. That resulted in burdensome record-keeping requirements and, sometimes, districts making purchases that didn’t help students. Under ESSA, the rules changed. Districts are no longer required to specify that individual costs or services are supplemental. Districts still need to supplement rather than supplant, but the law gives more flexibility to states and districts to prove they’re meeting the requirements. Congressional authors left it to the education department — through the negotiated rulemaking process — to hash out the details. Comparability language also stemmed from the NAACP report. Comparability means that districts have to use state and local funds to provide services to Title I schools that are comparable to those offered to non-Title I schools in order to get federal funding. The Center for American Progress, a liberal think tank, found in a study last year that more than 4.5 million students attend inequitably funded schools, which receive about $1,200 less per pupil than other schools in their districts. The education department performed a similar analysis in 2011. Separately, a provision in the law requires districts to report, on a school-by-school basis, how federal, state, and local dollars are being spent on a per-pupil basis. Those numbers have to include actual teacher salaries, but the data are used for public information only. 5. So what’s the fight about? Stay with us: the education department, in a proposal to the negotiated rulemaking committee, offered “supplement not supplant” language that would allow districts to choose their methodology for distributing funds so long as the per-pupil funding at Title I schools was equal to or greater than the average per-pupil funding at non-Title I schools. The proposal would require districts to use the school-by-school per-pupil numbers used for public information — the ones that include teachers salaries — rather the numbers used for comparability, which don’t include specific salaries. Those opposed to the department’s proposal say it’s a backdoor attempt to rewrite the comparability guidelines via the supplement-not-supplant rule. Including actual teacher salaries could potentially upend the school finance system or force the reassignment of teachers, critics say. And they argue that that the proposal flouts congressional intent for these regulations. 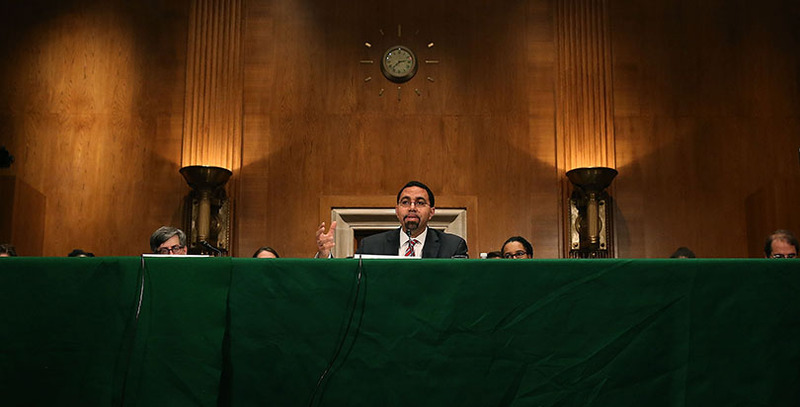 Education Secretary John King said at the hearing last week that the proposal adheres to ESSA provisions and drew a distinction between defining a methodology – which he said the proposal doesn’t do – and the criteria used to evaluate that methodology. “Those are criteria by which to evaluate a methodology that would be determined by a district that would ensure that the Title I dollars are in fact supplemental,” King said. In the face of criticism from members of rulemaking panel and members of Congress, department officials released new language late last week that provided rescue lines to districts that couldn’t meet the new requirement. Districts wouldn’t be found out of compliance unless they also couldn’t meet requirements in one of the three previous years. Additionally, they would be safe if they could show that a non-Title I school had a large population of students (specifically, English language learners or students with disabilities) whose education is more expensive, throwing off the average per-pupil cost calculations. The new language also allows for weighted student-funding formulas that provide additional dollars for underserved students. 6. What do the states think? A coalition of groups representing governors, state legislators, state school chiefs, school boards, superintendents, principals, and teachers’ unions, warned the department about overstepping in an April 4 letter. “Regulations and accompanying guidance should clarify how supplement, not supplant is separate and distinct from maintenance of effort and comparability, and steer clear of anything that would change or modify any of those provisions beyond the statutory changes already signed into law,” the groups wrote. Unions are afraid the regulation would require the redistribution of teachers, an idea that could conflict with tenure- and seniority-based placements. Civil rights groups have been more supportive of stricter funding regulations, and Democrats at the hearing last week backed King. Sen. Elizabeth Warren, Democrat of Massachusetts, for example, said that she – and many others, she said, including President Obama – supported the law because it included language ensuring that federal dollars intended to improve kids’ education actually do so. 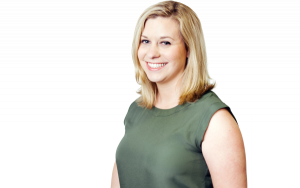 “Democrats have spent years fighting to make sure that this reauthorization is about additional dollars to make sure that they support all of our teacher and all of our kids so they get a decent education,” she said. 7. Can Congress stop the department of education? In the short term, Alexander can’t do a lot besides use his bully pulpit and call King to task at hearings. As Congress negotiates annual spending bills, the Tennessee Republican, who also sits on the Appropriations Committee, could push for language in next year’s law that would block implementation of the rule. Education riders haven’t usually been included in final spending bills in recent years; Republicans have saved their political capital for broad GOP priorities like blocking banking or environmental regulations. Members also could pass a law to block the regulations, but that would require the approval of President Obama. Alexander also said at the hearing that he might encourage a district affected by the law to file a lawsuit.